If you’re thinking about setting sail for your next special event or having a nautical themed event, consider these brilliant silicon anchor themed luggage tag tags favours for your special guests. 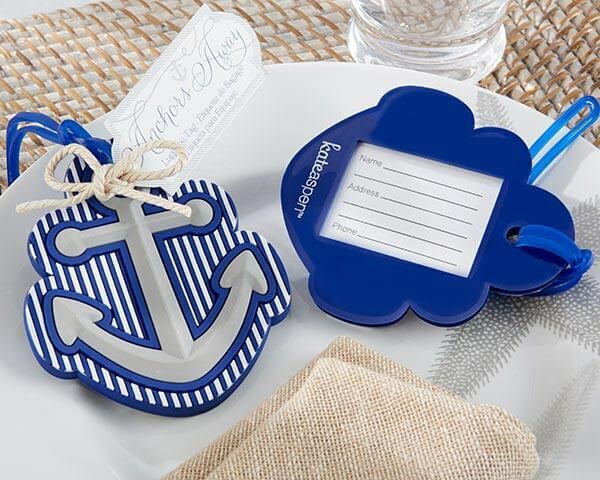 The “Anchors Away” Luggage Tag, is a blue and white silicon anchor shaped luggage tag, perfect for travelling as it features a clear window on the back for your contact information. Your guests will definitely be all aboard. Approximate measurements are 10cm H x 8cm L x 1cm W.